I learned how to blog in 2006 when I became director of York University's Institute for Research and Innovation in Sustainability. I quickly realized that a research institute focussing on sustainability, needed to do much more than ivory-tower-situated research, and that we needed to find ways of meaningfully engaging all members of the York University campus community. For me, one aspect of doing this involved creating and maintaining a dynamic website with lots of cool, relevant, sustainability content. Everyone should try science blogging. 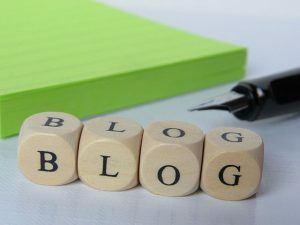 Blogging helps students AND professors to write more clearly. One of the things that I learned early on about blogging early, is to post new content regularly. I also learned that it is best to keep posts short. 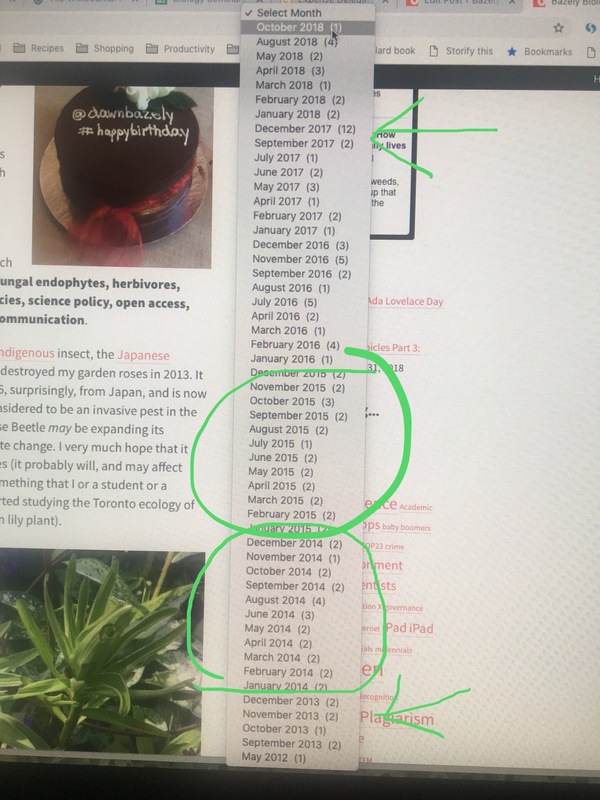 I tried lots of different posting schedules, but found that with my responsibilities, I could barely contribute 6 posts a year to the IRIS website. I also found that keeping posts short is difficult when you have unlimited digital space, and are an academic. All professors and students know that Writing Short is much more difficult than spewing verbal diarrhea onto paper or into a digital document! In 2012, I took advantage of the newly created York University wordpress.org platform to create my own lab. website. I was already familiar with WordPress, and I decided that I could wrote two blog posts a month: 24 per year. I managed to do this for the first few years, but soon found this difficult to maintain. This has led to my annual year-end blogging challenge, when I try to pop out the incomplete, draft posts that have accumulated over the year, in December, in order to meet my annual goal. 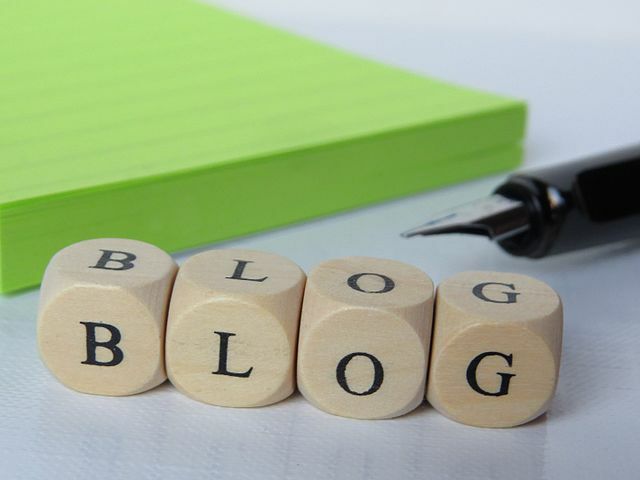 During this year's effort, I have decided that in future, I will write only one blog post per month instead of two! So, here we go... here's the first of my nine missing 2018 blog posts! In the next post, I will deal with link rot and archiving my digital content from blogs.